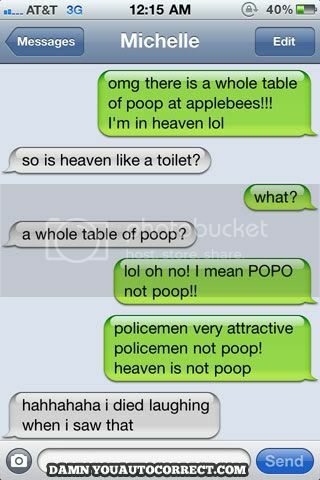 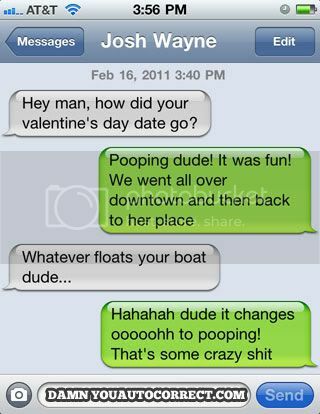 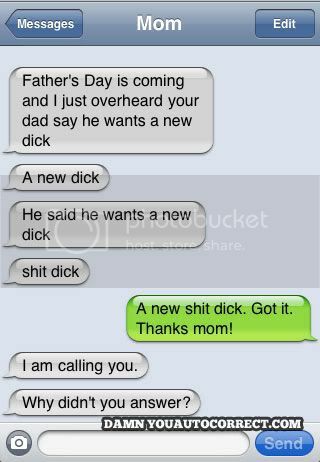 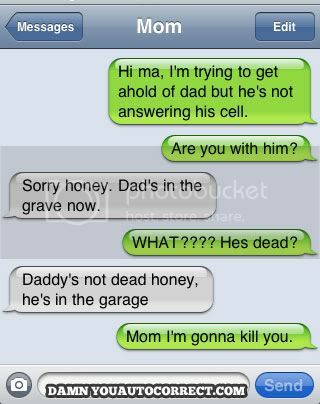 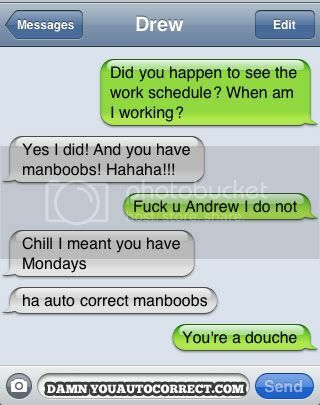 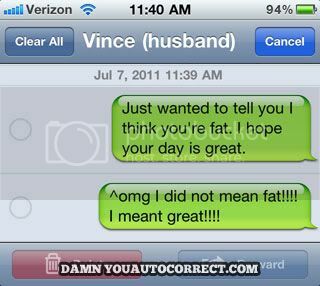 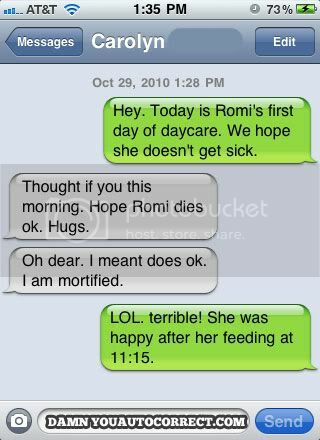 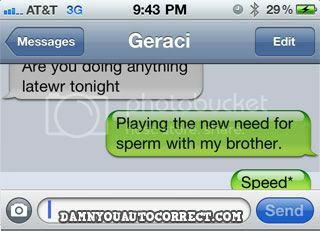 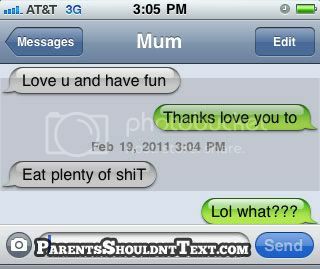 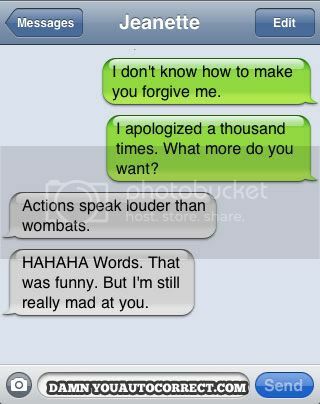 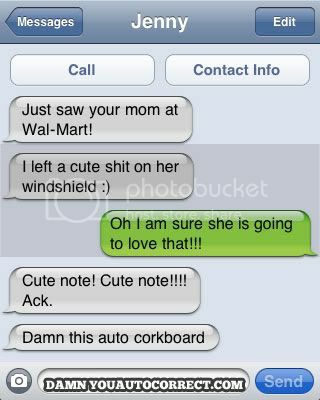 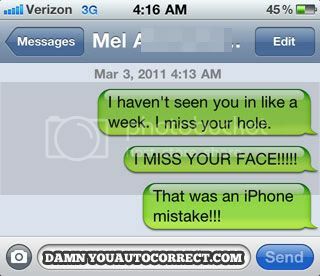 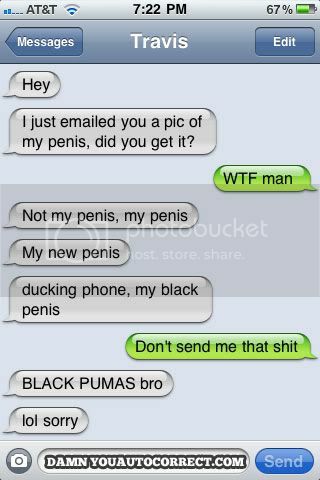 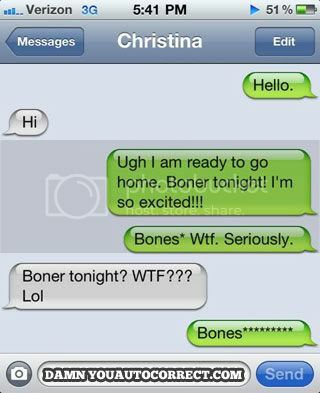 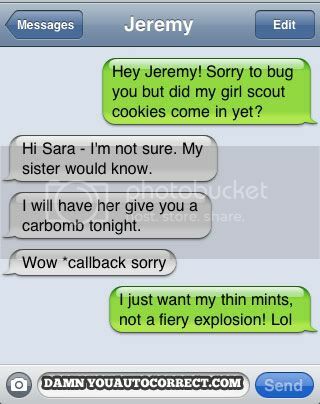 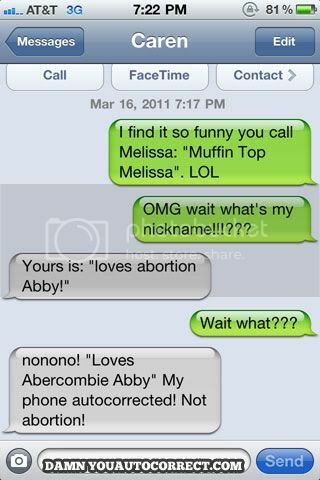 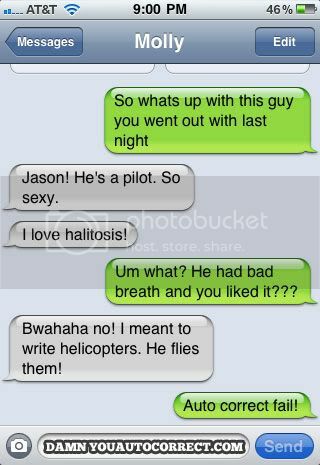 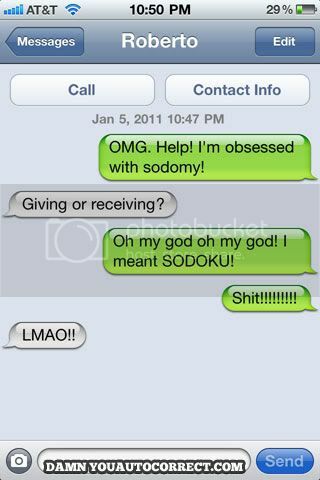 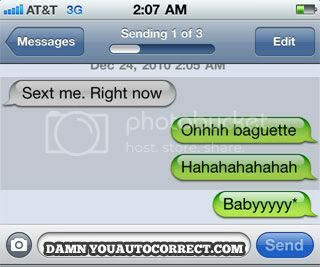 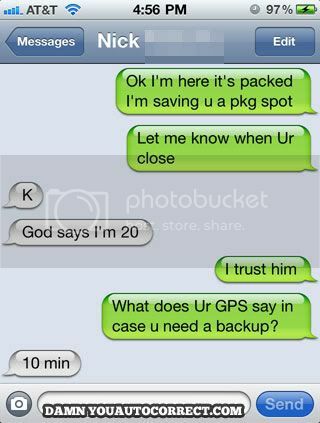 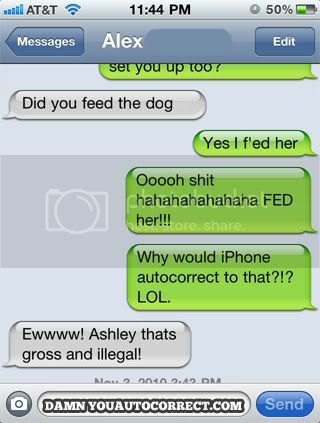 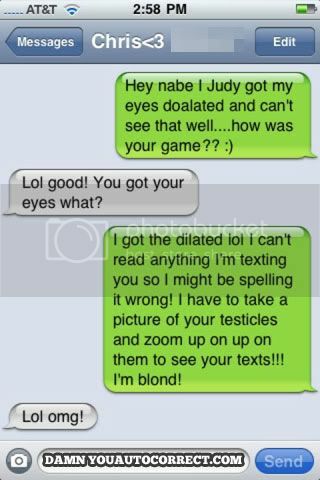 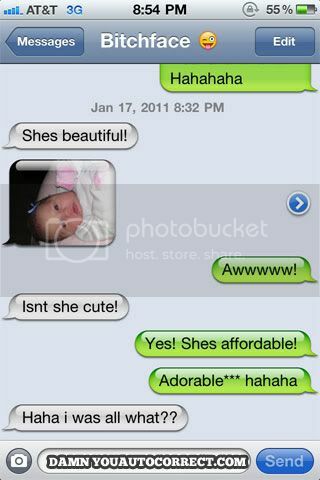 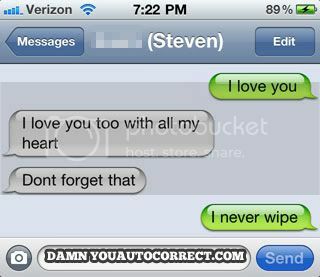 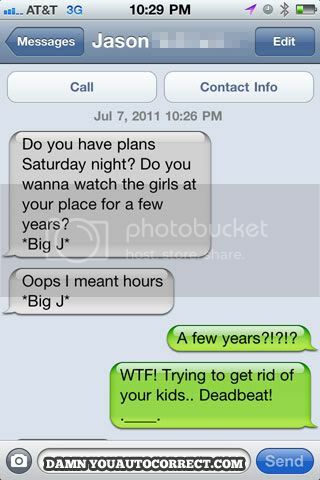 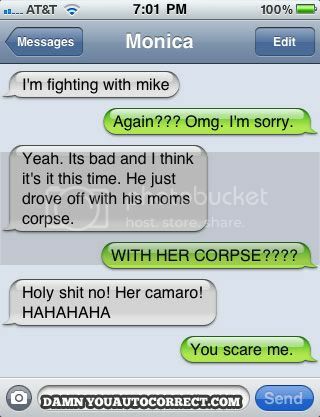 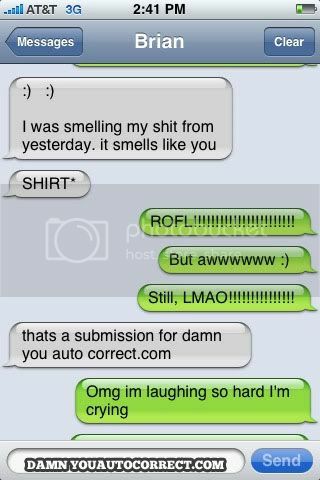 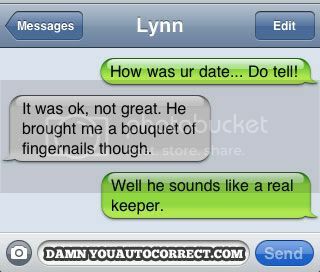 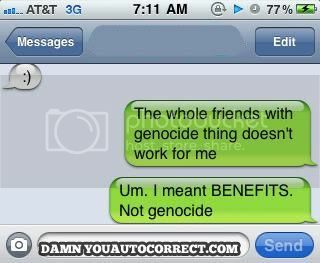 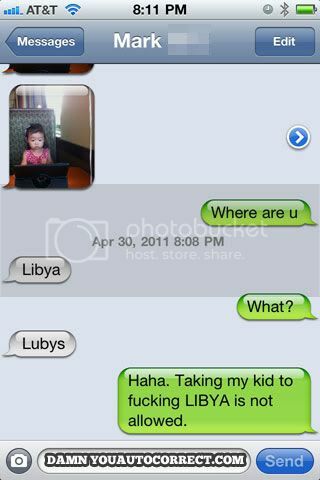 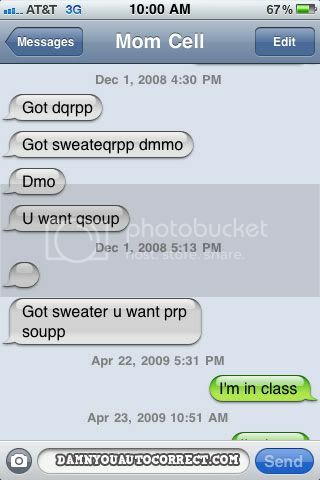 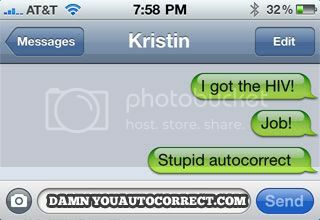 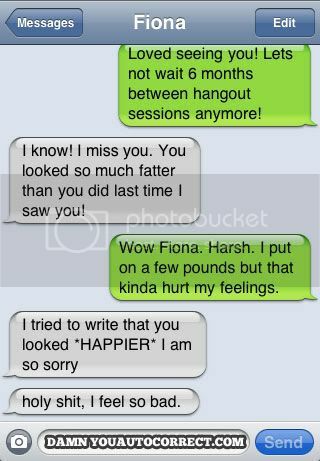 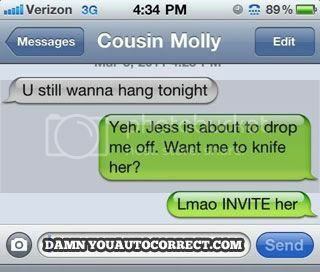 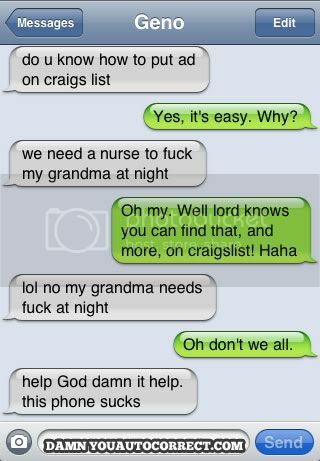 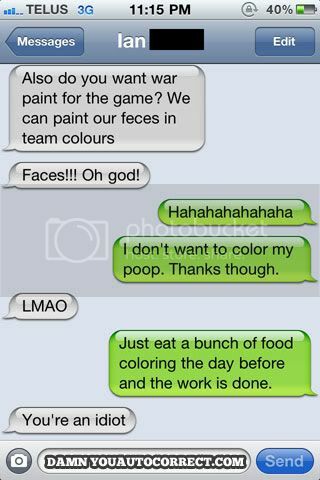 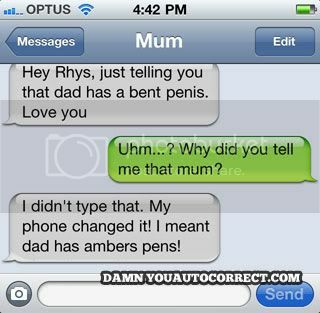 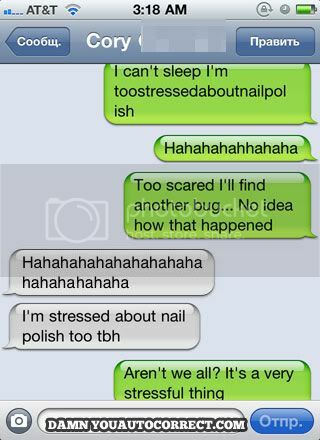 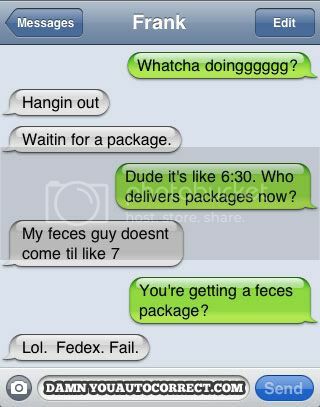 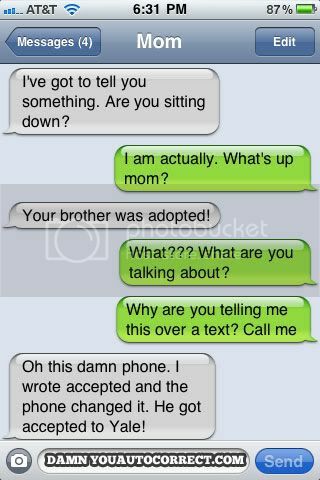 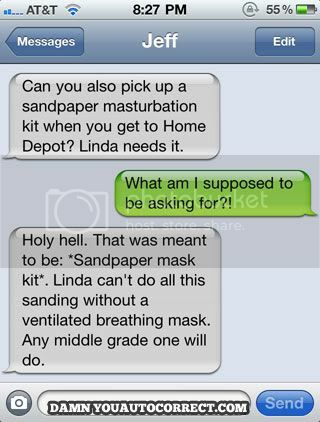 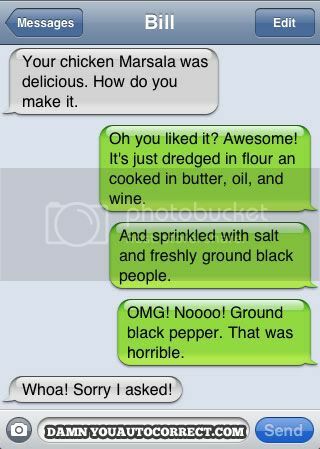 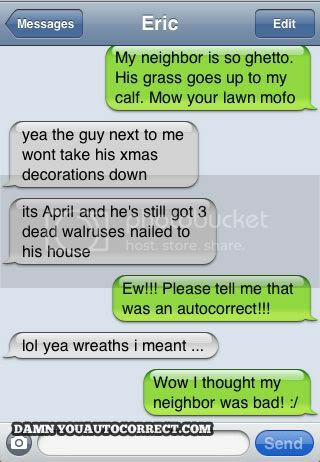 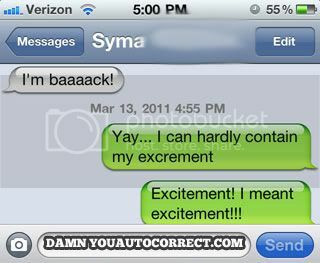 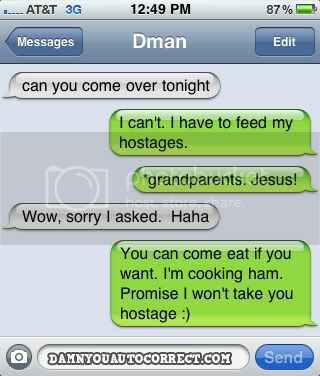 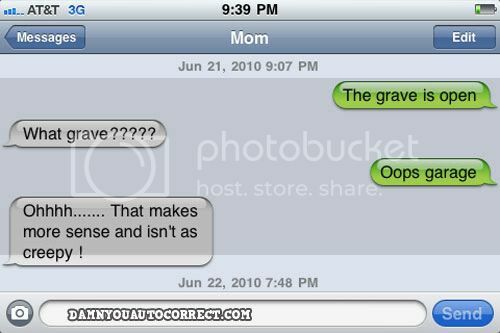 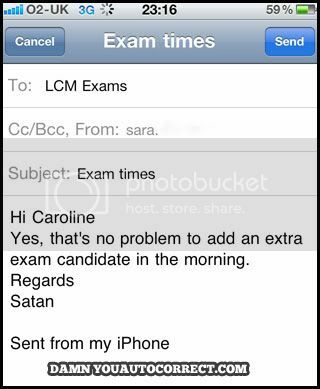 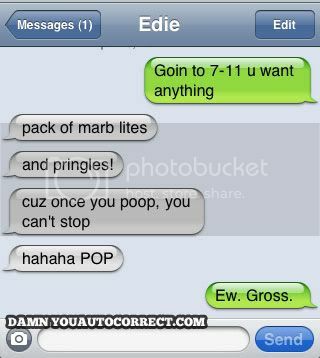 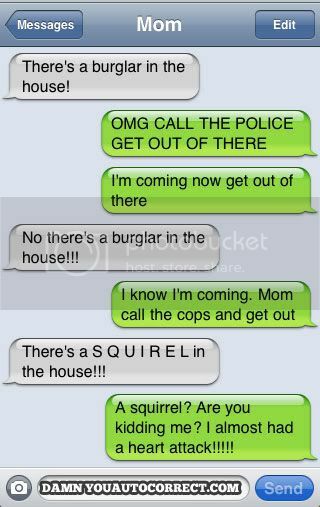 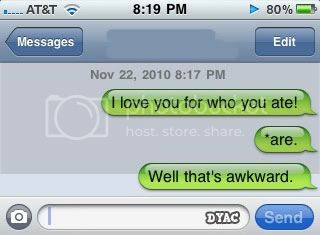 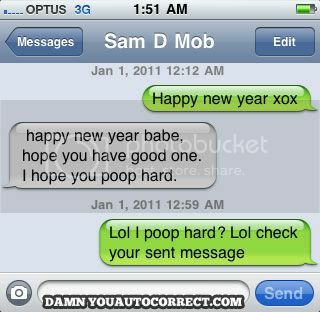 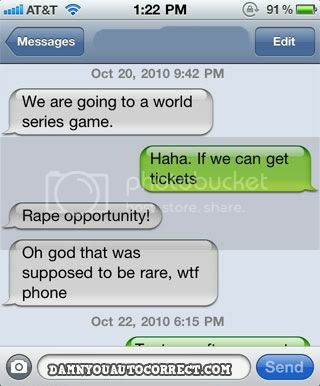 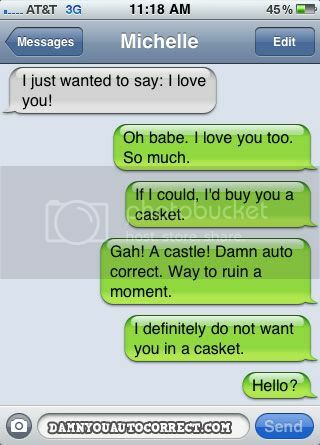 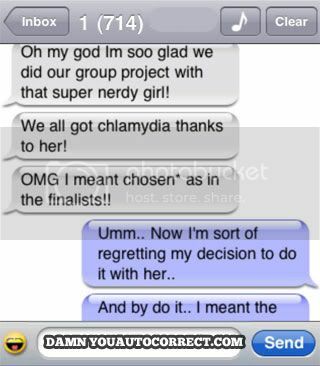 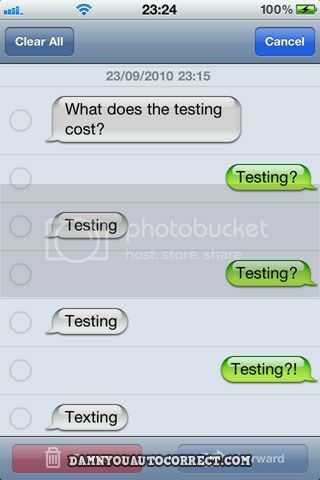 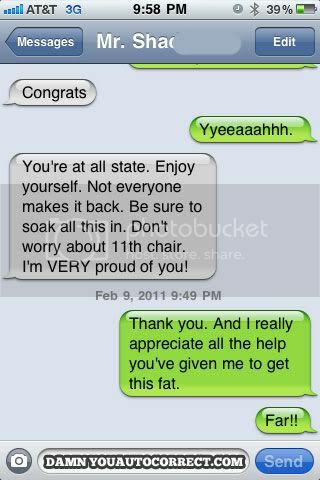 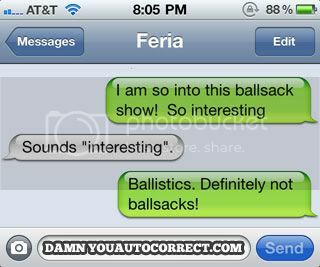 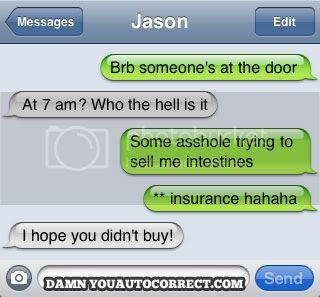 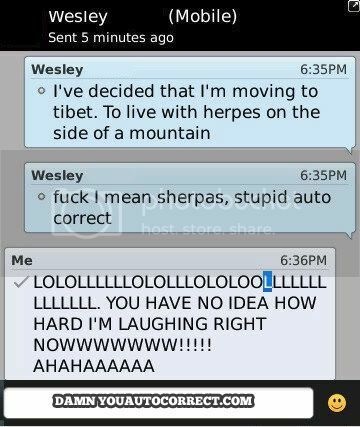 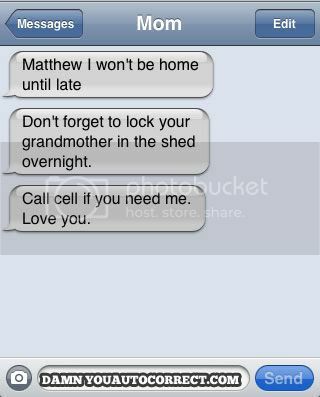 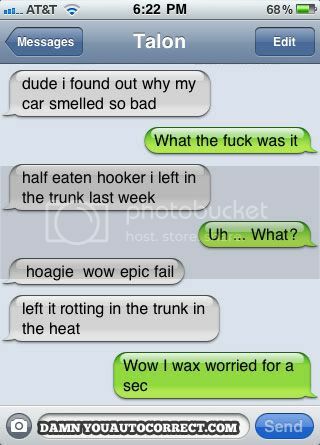 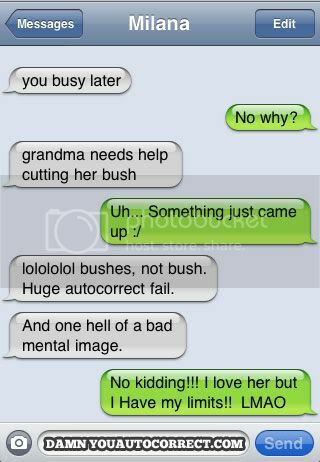 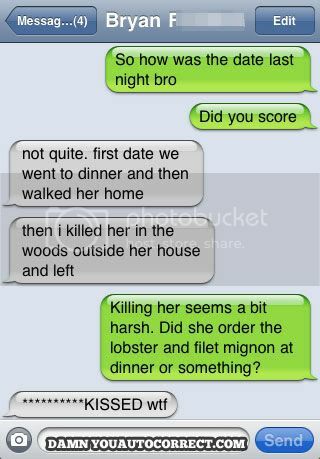 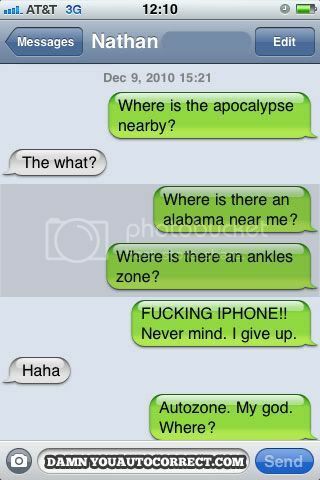 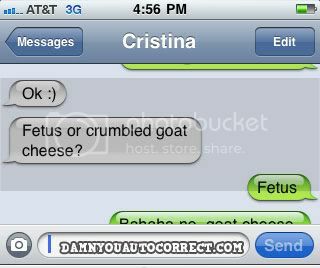 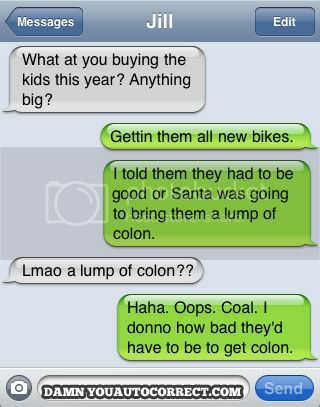 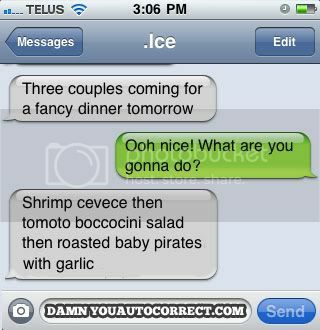 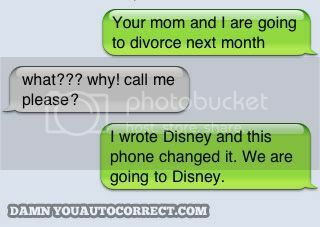 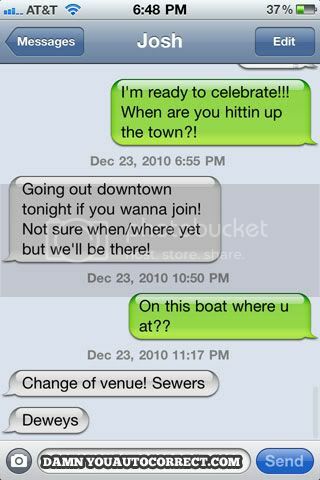 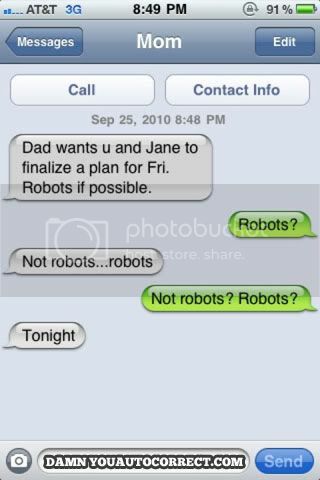 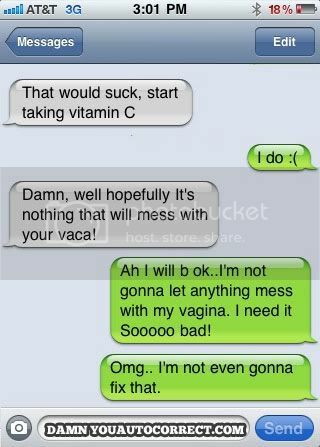 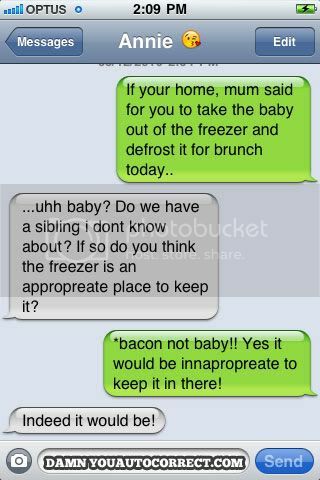 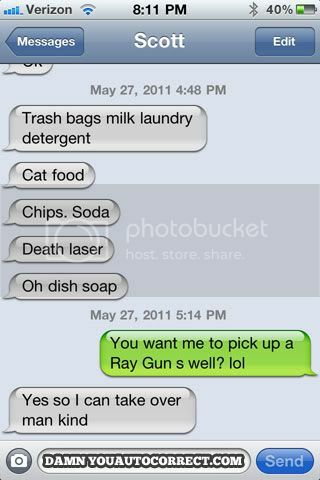 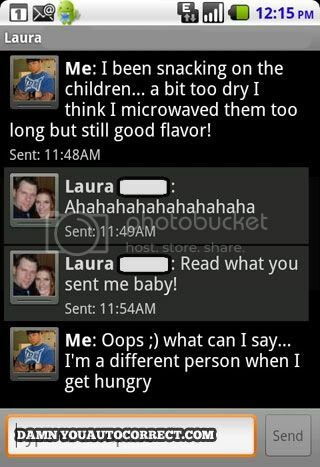 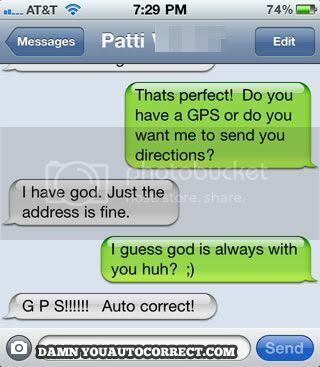 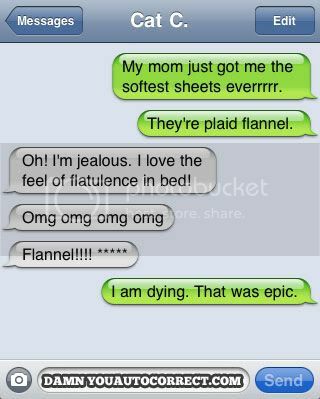 i love damnyouautocorrect.com so much, i'm waiting for the day when i send a dodgy text on my iphone so i can upload it! 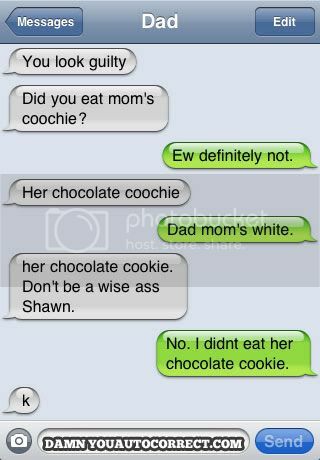 LOL I'M DYING RIGHT NOW. 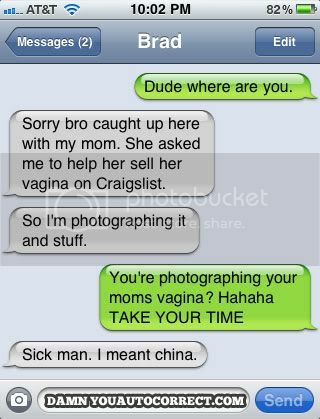 MY STOMACH HURTS FROM LAUGHING. 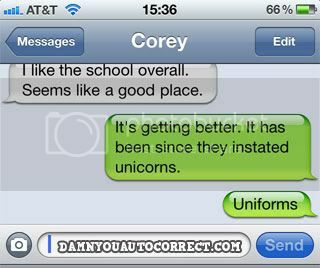 I never knew this site existed, but totally bookmarking it now. 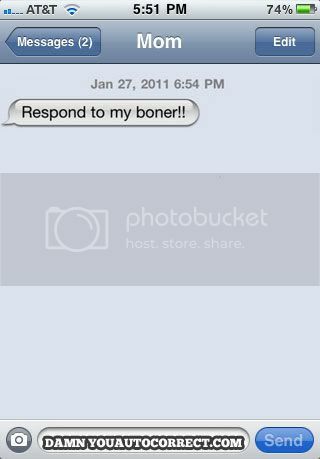 Oh god I know we haven't talked before, I added you for your icons btw, but THANKS SO MUCH for this post!